As authorized distributors of the tooling we hire, Hire Torque Tools Aust (HTTA) can cater for the largest range of tooling at competitive prices. Select from the latest Models, lightest, fully featured torque tooling in the world. Try our tools just once, nothing you have ever used before will compare. 95% of our customers who hire our tools rent again. Hire is the best test drive! HTTA offers a full range of powerful hydraulic Multiplier Tooling required by heavy industry. You can select from Multiplier wrenches, Pneumatic Nutrunner Multipliers plus an impressive array of Porta Power rams and pumps. We specialize to mining, petrochemical industries and contractors with large packages for maintenance and shutdowns. Hire Torque Tools Aust is an authorized reseller of WREN Hydraulic Torque Wrenches (Hydraulic Spanner Multiplier) and offer full support regarding Warranty, Parts, Stock, Technical support and Calibration. Reliable, tough & proven in the Hire field, WREN Multipliers wrench offer maximum versatility, with 240 Volt or Pneumatic Pumps. 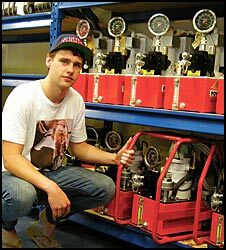 These Pump Power Packs come with Pressure Gauge, Regulator, 3m Remote Control, Couplers & Oil. Ready to go. All equipment is packed into a weathproof Site Case. 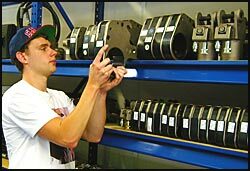 WREN are the worlds largest manufacturer of HydraulicTorque Tools, with full ISO9001:2000 certification. All Service, Support, Calibration & 12 Month Warranty is guaranteed direct through the importer. Plus large Stock and Spare Parts are held in Australia, you have no worries about buying a well suppored Multiplier Tooling Product built to last. HTTA are based in Melbourne. Deliver Multiplier Tools to regional Victoria, Western Australia, WA New South Wales NSW, NT Northern Territory, Tasmania, Australia wide. Tools are Couriered around the Country with TNT Road Express and Air Express. When you needit, You Get It!